In their latest issue, The Caravan published a report titled "Lather, Rinse, Repeat – How to write a saas-bahu saga", about the inner workings of the massive Indian TV serial industry. In it, a number of established television writers talk about the lessons they've learnt, and the unwritten rules you have to follow to make a hit TV show in India. 1. The heroine must ALWAYS be self-sacrificing. "Take any female lead from any show, she will be an epitome of sacrifice. Quiet submission is a trait appreciated by the Indian audience," writer Gitangshu Dey said. 2. Strong female characters don't work with Indian audiences. One of Dey's heroines, in the show Tashan-e-Ishq, was written as "independent, bubbly and outgoing". The research team told him it wasn't working, and he made her "more caring". "It is expected of her to solve household problems. Just like Sita," Dey said. 3. The heroine must be present in at least 70% of the scenes in an episode. Executives can demand rewrites from the writers if this qualification isn't met. 4. Vegetarian is good. Non-vegetarian is evil. For example, to establish the difference between the heroine and the vamp in Kawach, veteran writer Rajesh Joshi suggested a scene in which the vamp eats mutton at home, while the heroine pukes at the sight. 5. 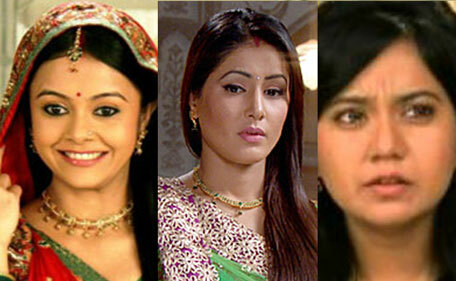 Pandering to audiences’ regressive beliefs and superstitions means more TRPs. "It is not written anywhere that there is an ichchhadhari naagin. It is all bakwaas —nonsense — and we cash that bakwaas-ness. And we get the TRPs," Joshi said, referring to the hit show Naagin. 6. Any inconvenient facts about the religion underlying the show should be omitted. Most Indian TV shows make no mention of caste, even though the dominant-caste status of the protagonists is evident. 7. Audiences get bored of vamps easily. The villain is usually replaced in a show every so often, after getting killed off or being banished by the family. But one common trait that they all share is wearing garish makeup and dressing provocatively, to oppose the heroine. 8. You can milk a high-ratings sequence for days. An executive on Ek Ghar Banaunga said that one plot point involved the heroine standing at her doorstep for FIFTEEN episodes, while the family debated whether to let her in. 9. A wedding getting obstructed is a tried and tested method to boost ratings. This can be done in a number of ways, including the return of a hero who was presumed dead (which is another sureshot way to boost TRPs). You can read The Caravan's full report here.